On 05 June 2018 The House of Commons Justice Committee asked the departing Director of Public Prosecutions, Alison Saunders, if people had been wrongly imprisoned as a result of disclosure failings, to which she replied, “some people have been”. Unfortunately, the precise extent of the damage is unknown because the CPS does not record the number of trials which proceed despite unsatisfactory disclosure. The purpose of this article is to consider the impact of disclosure failings on the criminal appeals process. “Material may be relevant to an investigation if it appears…that it has some bearing on any offence under investigation or any person being investigated, or on the surrounding circumstances of the case, unless it is incapable of having any impact on the case”. The prosecution has an initial duty to disclose to the accused any material in their possession, which might reasonable be considered capable of undermining the prosecution’s case or assisting the case of accused. Alternatively, the prosecutor must provide the accused with a written statement that no such material exists. The prosecution is thereafter under a continuing duty to disclose any such material which satisfies the initial disclosure test to the accused. This duty runs from the time when the prosecution complies with the initial duty of disclosure until the accused is acquitted or convicted. Disclosure is satisfied when the prosecution provides a copy of the material to the accused or allows the accused to inspect it. Both the prosecution and defence have obligations under the law of disclosure. In Crown Court cases, a defence statement must be served on the prosecution. A defence statement sets out the nature of the defence and indicates the matters of fact which the defence takes issue. The defence statement can be used by the prosecutor to direct further disclosure. Following the service of the defence statemen, if the defence has reasonable cause to believe material exists which meets the requirements of disclosure, which has not yet been disclosed, they may apply to the court to order the disclosure of the material under Section 8 of the Criminal Procedure and Investigations Act 1996. However, as emphasised to the Justice Committee by researchers from Northumbria University, the defence cannot apply for the disclosure of material they do not know exists. Therefore, a thorough disclosure schedule is imperative in allowing the Defendant a fair trial. In terms of the investigation which reveals the material which forms the prosecution’s case, the police have a duty to pursue all reasonable lines of enquiry, whether those lines lead to or away from the accused. This means, at least theoretically, any material in existence which suggests an accused did not commit the offence of which they are charged, is investigated and disclosed to the defence. It is important to highlight that the current law on disclosure survived the Justice Committee’s investigation intact and the law is not considered controversial or unjust. It is the application, or misapplication, of the law of disclosure which has been subject to controversy. Disclosure in criminal proceedings has been the subject of criticism for years. In fact, the Attorney-General at the time told the justice committee that disclosure failings have been a problem since 1996. However, it was the case of R v Liam Allan which brought disclosure failings to the attention of the public. In Allan’s case, the repeated requests from the defence for the disclosure of the Complainant’s phone record were refused. It was not until the instruction of a new prosecutor during the trial that the record was disclosed. This was a lengthy document and both the defence and prosecution reviewed the material. Following that review, the prosecution felt there was no longer a real prospect of conviction and the case was listed to be stopped. In January 2018 the CPS London and the Metropolitan Police Service published a joint review of the disclosure process in R v Allan. The report concluded that the disclosure problems were caused by a combination of error, lack of challenge and lack of knowledge and went on to make recommendations aimed at preventing similar disclosure failings in the future. This included undertaking to provide a National Disclosure Improvement Plan. That plan recommends the use of Disclosure Management Documents in all cases with a large volume of material and the provision of multimedia evidence to the defence using electronic links. “have come to believe they are fighting for the complainant rather than investigating the facts. This affects what enquiries they make and hence what unused [material] is generated, and also how they consider what is disclosable”. It is evident that the disclosure practices, brought to light by R v Allan and the Justice Committee have denied many a fair trial. In fact, it is unsurprising that Alison Saunders told the Committee that disclosure failings have led to unsafe convictions. The intervention of the Justice Committee is a promising sign of improvement. However, It is important to address the options available to those wrongfully convicted in cases of dissatisfactory disclosure. The CCRC stated in 2016 that “[t]he single most frequent cause [of miscarriages of justice] continues to be failure to disclose to the defence information which would have assisted the accused”. It is clear from this statement, and the evidence heard by the Justice Committee, that disclosure failings account for a significant number of appeals. Under Section 2 of the Criminal Appeals Act 1968, the Court of Appeal will only allow an appeal against conviction if they consider that conviction to be unsafe. Therefore, in order for an appeal to succeed, any disclosable material which was not disclosed during the course of the trial must be capable of rendering the conviction unsafe for an appeal to succeed. One source of difficulty faced by potential appellants in cases involving disclosure issues is receiving post-conviction disclosure. The CPS Disclosure Manual states that the Crown has disclosure duties so long as proceedings remain, whether at first instance or appeal. This was clarified in the case of R (On the Application of Nunn) v Chief Constable of Suffolk  UKSC 37, the Supreme Court held that the Crown’s duty of disclosure was limited only to material which might cast doubt on the safety of the conviction. In addition, it was held that there is no continuing duty on the Crown to respond the Defendant’s to requests for access to case material with a view of re-investigating the case. However, the court stated that, if there is a real prospect that a further enquiry may reveal something to affect the safety of the conviction, that enquiry ought to be made. This is an exceptional stance, as the Crown’s duty to investigate an offence usually ends when a suspect is convicted. Therefore, the question to ask is, whether the material which should have been disclosed, but was not, casts doubt on the safety of the appellant’s conviction. This was the approach adopted by the Court of Appeal in R v Garland  EWCA Crim 1743. The Court of Appeal possesses significant powers, contained in Section 23 of the Criminal Appeals Act 1968, to order the production of any material in connection with the proceedings where they consider it necessary for the determination of the case. The Court will consider whether ordering such evidence is necessary or expedient in the interests of justice. This applies to evidence which was, or was not, adduced in the first instance proceedings. When exercising their powers under Section 23, the Court will have regard to whether the evidence is; believable; affords any ground for allowing the appeal; would have been admissible in the first instance proceedings and any explanation available for the failure to adduce the evidence at trial. In R v Embleton  EWCA Crim 1968, a conviction of murder was held unsafe following the failure of the prosecution to disclose during trial, a crucial element of a police report which severely undermined the evidence of a key witness. The Crown’s remaining evidence was dubious and formed a weak case. The aspect of the report absent from disclosure was adduced in the appeal using Section 23. However, it is important to stress that the Court of Appeal does not commonly exercise it’s powers under Section 23. To conclude, R v Allan exposed the long-standing problems with the practice of disclosure in criminal proceedings. The numerous reports that followed, most significantly, the Justice Committee report, further uncovered a culture embedded within investigatory authorities in which disclosure is considered an administrative chore as opposed to an imperative requirement of fairness and justice. It is apparent from the reports which followed R v Allan, that the legislation and codes of practice which govern the disclosure procedure in England and Wales is satisfactory and when followed, capable of allowing disclosure which creates a balanced and fair trial. Therefore, the disclosure duties set out in this article remain good law. That being said, further work is yet to be done to implement effective working practices which ensure fair and effective disclosure which meet the requirements of new technology in every case. In terms of the criminal appeals process, it is evident from authorities that disclosure failings can render convictions unsafe in the Court of Appeal. Appellants will benefit from the Crown’s post-conviction duty of disclosure where material is capable of casting doubt on the safety of their conviction. The task for legal representatives is now to fight for material to be disclosed post-conviction in order to take cases to the Court of Appeal. Although this is not the simplest of tasks, the ammunition to receive such disclosure is available to potential appellants and their legal representatives. 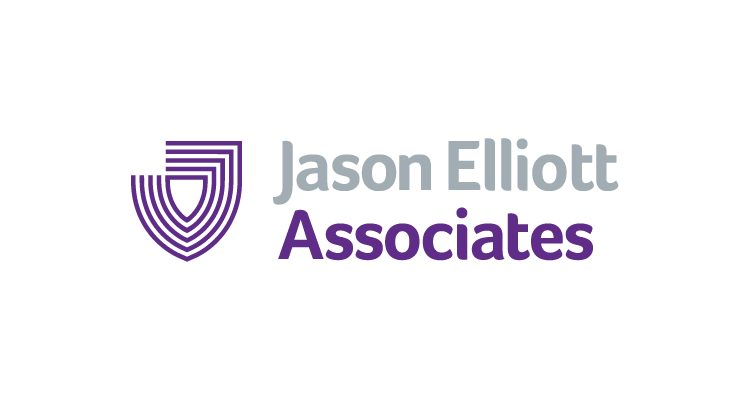 Jason Elliott Associates Limited is a barrister-led entity specialising in criminal appeals.